“A team of researchers from the University of Maryland, the Army Research Laboratory and Argonne National Laboratory (U.S. Department of Energy) has published findings on a new advanced battery technology that among its many possible applications has the potential to improve electric vehicle batteries in two key areas: driving range and battery safety. “We have created a fluorine-based electrolyte to enable a lithium-metal anode, which is otherwise known to be notoriously unstable, and demonstrated a battery that lasts up to a thousand cycles with high capacity,” said co-first authors Xuilin Fan and Long Chen, post-doctoral researchers at the University of Maryland. “The cycle lives [recharging ability] they achieved with the given electrode materials and operation voltage windows sound ‘unprecedented’. This work is a [sic] great progress forward in the battery field in the direction of increasing the energy density, although further tuning might be needed to meet various standards for commercialization,” said Jang Wook Choi, an independent battery expert who is an associate professor in chemical and biological engineering at Seoul National University in South Korea. Choi was not involved with this research. Materials, such as Li-metal anode and high nickel and high-voltage cathode materials, used in this new battery are called “aggressive” materials because they react strongly with other material, meaning that they can hold a lot of energy but also tend to “eat up” any other elements they’re partnered with, eventually rendering them unusable. 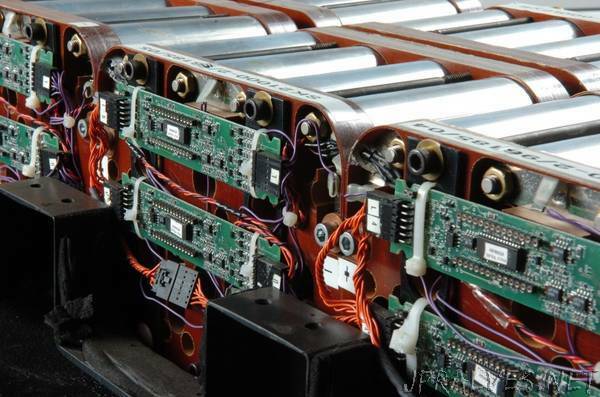 “The aim of the research was to overcome the capacity limitation that lithium-ion batteries experience. We identified that fluorine is the key ingredient that ensures these aggressive chemistries behave reversibly to yield long battery life. An additional merit of fluorine is that it makes the usually combustible electrolytes completely unable to catch on fire,” said Wang. “You can find evidences from literature that either support or disapprove fluorine as good ingredient in interphases,” said Kang Xu, a laboratory fellow and team leader of the research at the Army Research Laboratory. “What we learned in this work is that, in most cases it is not just what chemical ingredients you have in the interphase, but how they are arranged and distributed.” “We believe these fluorinated interphases serve as the key stabilization barriers to enable these aggressive electrode materials,” Xu said in an email.